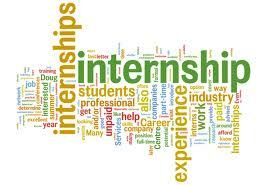 You are at:Home»Internships»Internship Experience»Internship at B.P.T.P. Ltd.
College: Vivekananda Law School, IP University, Delhi. Application procedure: I had applied by emailing my CV and Personal Interview. Area of work: Litigation (Consumer Cases). Timings: 10:00 A.M. – 7:00 P.M.
Work environment, people: The work environment was intern-friendly. Immediate Senior was a bit strict but co-interns were very friendly and helpful. Atmosphere was chilled out. Recommendation (a rating of the overall experience): 4.5/5. The work is brilliant. There is hardly any internship like this one which goes beyond mere head knowledge. All the associates are friendly and helpful. Proper, tasty and healthy lunch was provided to interns (with Non Veg. food made available on Wednesdays). Good working environment for meritorious and diligent students. Previous ArticleInternship at the Chambers of Mr. Sunil Goyal and Associates.